Derek Williams | Williams Wealth Management Group Inc.
“Our focus on personal relationships and our Advance and Protect investment strategies align our thinking with that of our clients. Everyday we strive to help each client move closer to their unique goals. President and CIO of Williams Wealth Management Group, Derek personally oversees investment decisions for the firm’s clients. His hands-on approach to portfolio design includes a focus on multi-asset allocation. Derek favors a risk-managed, fundamental approach to value a broad set of global assets, and then allocates portfolios based upon those valuations, which include a proprietary market behavioral analysis. Since 1996, Derek has worked with individuals, families, and business owners to provide financial and retirement planning, wealth management and transfer, and investment research. Derek holds the CERTIFIED FINANCIAL PLANNER™ (CFP®) designation. The certification shows that Derek has met rigorous competency standards of education, examination, and experience. Additional ethics and practice standards mean that CFP® professionals have agreed to put their clients’ interest center stage. 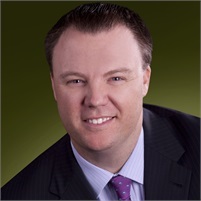 Derek established Williams Wealth Management Group Inc. in 2007. Prior to founding the firm he worked as an independent advisor with two prominent accounting and financial services firms. A native Floridian and resident of Bradenton since 1973, Derek is an active alumnus of the University of South Florida where he has served on the USF Alumni Association National Board of Directors and USF Bulls Club. He lives in Bradenton with his wife Helena, son Tyler, and daughter Reese. Derek enjoys the outdoors and sports including football, golf, weightlifting, and bicycling. What’s the best local restaurant serving your favorite cuisine? Right now my favorite restaurant is Derek’s. Besides a great name, they have an amazing Kale salad, Short Ribs and Shrimp and Grits. My wife loves the wine menu also! Which one movie or novel do you wish there was a sequel to? Is there something that excites you so much it keeps you awake the night before? My companies. As silly as this sounds, there are many nights that I can’t wait to get to the office to continue a project for Williams Wealth Management Group or FiduciaryShield. Describe the most incredible view you’ve ever seen. The views were amazing from the top of the Continental Divide with my family, and I loved sharing the moment with them. The works! My favorite pizza is one I cook on our Big Green Egg. If you had just toaster oven-sized box for all of your stuff, what would you put in it? My great-grandfather’s wallet, pictures of my family, matches, shoe laces, bubble gum, toothpaste, paper and pencil, a cell phone, a pocket knife and a volleyball named Wilson. Investment Advisor Representative – Williams Wealth Management Group Inc.